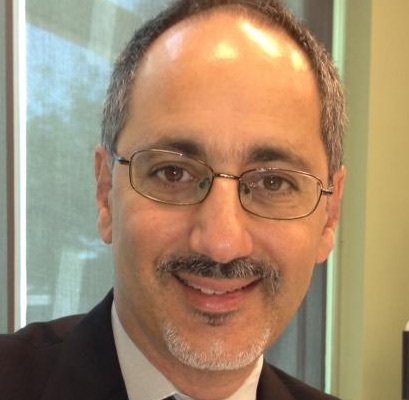 Dr. Demirjian was previously Founder and President of ThermoGen, Inc., a Chicago-based bioprocess company which was a pioneer of esterase biocatalysis technology for pharmaceutical applications. He is a previous winner of the Research Director’s Association of Chicago “Entrepreneur of the Year Award” (1997) and recipient of the U.S. SBA “Tibbets Award” for successful commercialization of technology developed under the Federal SBIR grant program. He was subsequently Vice President of Technology Strategy for MediChem Life Sciences after MediChem’s merger with ThermoGen in May 2000, where he oversaw the strategic development of MediChem’s R&D technology platform, including the integration of its drug discovery and chemical process technologies. He was one of the leaders of MediChem’s IPO, in which the company raised over $52 MM in October 2000. He also served as a Director of the company until its acquisition in May 2002 to deCode Genetics. He holds a Ph.D. in Genetics from The University of Chicago and B.S.A. in Molecular Biology from The University of Michigan. Ms. Aneja was most recently Vice President, Corporate Development, MediChem Life Sciences, and had an instrumental role in the recent merger between MediChem and ThermoGen, in addition to having negotiated MediChem’s strategic alliance with the global fine chemicals manufacturer, Degussa AG. She has more than twenty years of experience in commercializing of early stage life sciences products and has previously held positions with Onyx Pharmaceuticals, Ligand Pharmaceuticals, Abbott Laboratories and ARCH Development Corporation, the technology transfer affiliate of The University of Chicago. She is a recipient of I-Street’s 2003 “Women in Black” award which recognizes outstanding contribution to the Chicago entrepreneurial community. She holds a M.B.A. in Business Economics and Finance from the University of Chicago Graduate School of Business. 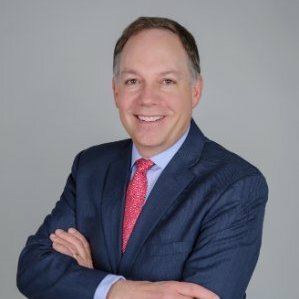 Jeffrey A. Whitnell, CPA, M.B.A.
Mr. Whitnell is an accomplished finance executive with over 15 years of healthcare experience in senior leadership positions in the life sciences industry. Previously, Mr. Whitnell was Chief Financial Officer for Reliefband Medical Technologies, a medical device company. Prior to Reliefband, he served as CFO for Akorn, Inc., Vice President of Finance and Treasurer for Ovation Pharmaceuticals, and Vice President of Finance and Treasurer for MediChem Life Sciences. He currently serves as a Director for Elite Pharmaceuticals, Inc., a publicly traded specialty pharmaceuticals company. He is a certified public accountant and holds an M.B.A. in Finance from The University of Chicago Booth School of Business and a B.S. in Accounting from the University of Illinois. Mr. Cummings was previously President of POET-DSM Advanced Biofuels and President of INEOS New Planet BioEnergy. 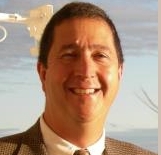 He has over 25 years of experience in the industrial biotech, energy and clean tech sectors. His work has included building and leading organizations, commercializing new technologies, project finance and development, strategic partnerships, technology licensing, and legal and corporate affairs. In his legal career, he previously served as an in-house counsel for INEOS, in private law practice, as a government prosecutor and as an Army JAG officer. He holds a Law Degree from Temple University, a Master of Public Administration from the University of Southern California, and a Bachelors in Economics from the University of Puget Sound. He previously served on the board of Bio.org and is involved with several organizations to advance the industrial biotech and renewable energy sectors. Robert (Bob) G. Gonzalez – Successful in both the corporate world and in the entrepreneurial world Bob brings strong business development skills and experience across functional areas in a wide range of industries. Most recently he co-founded and successfully started-up Hearts&Minds LLC, a specialty food company offering health conscious consumers the foods they love to eat made better for them. Previously he co-founded and successfully started-up NewNeural LLC, a biotechnology company developing technologies licensed from University of Illinois to treat diseases and injuries of the central nervous system. At Monsanto he led a fermentation based business using a genetically engineered organism to produce a pharmaceutical and feed additive, increasing sales through a global market development program and successfully divesting business to a strategic buyer. At Monsanto and Henkel he developed new businesses and technologies and captured value through strategic agreements with customers and suppliers. Bob has an Masters in Business Administration in Finance from University of Chicago and a Bachelor’s of Science in Chemical Engineering from Purdue University. Dr. Racine is an expert in fermentation optimization and scale-up and process engineering with over 20 years of industrial experience. He brings to zuChem an understanding of fermentation optimization and how a final production process will need to be developed in order to successfully implement it at commercial scale. From 1982- 1989 Dr. Racine worked at Enzyme Technologies Corporation where he directed programs for improving bacterial and fungal strains for production of commercially important enzymes for starch processing. From 1989 – 2002 he managed process optimization activities at Genencor International, including fermentation technology development and strain development. Dr. Racine received his Ph.D. in Microbiology in 1974 from the University of Virginia School of Medicine, Charlottesville and his B.S. in Biology in 1969 from Virginia Polytechnic Institute and State University in Blacksburg, Virginia. Dr. Leila Aminova specializes in the genetics, molecular biology, enzymology and protein engineering of genes important in carbohydrate synthesis and modification. Dr. Aminova joined zuChem in 2010 and is actively involved in the development of methods for the large-scale production of activated sugars and oligosaccharides Dr. Aminova received her MSc in Genetics from Kazan State University (Russia) and her PhD in Microbiology from the Russian Academy of Sciences (Pushchino, Russia, 1998) on the Biochemistry and Physiology of Mutants of Methylotrophic Yeasts. Her postdoctoral work in the Department of Microbiology at the University of Illinois at Urbana-Champaign was related to the effect of bacterial toxins on the cell cycle and cellular pathway on different cell lines. From 2001-2004 Dr. Aminova worked at the Harvard Medical School, in the Department of Neuroscience of the Beth Israel Deaconess Medical Center. In 2004 she returned to the University of Illinois at Urbana-Champaign and the study of bacterial toxins on cell differentiation and cellular pathways. Her recent papers in the area of cell signaling pathways response to bacterial toxins is the first to report how a bacterial toxin can prevent cellular differentiation affecting multiple pathways, such as Galphaq, Notch1 and Wnt/beta catenin.